Here are some of the gowns which we absolutely loved & would love to see them on Miss Universe stage . #1 Bring Back the old school Hollywood Glamour with this white full sleeved gown by Mac Duggal onto the Miss Universe stage, the tiny rhinestones detailing will make you sparkle on the stage. #2 Show your fierce side during the photo shoot by wearing this black sequinned one shoulder gown with a peekaboo back and become a huge hit. #3 Red is the colour of Miss Universe. 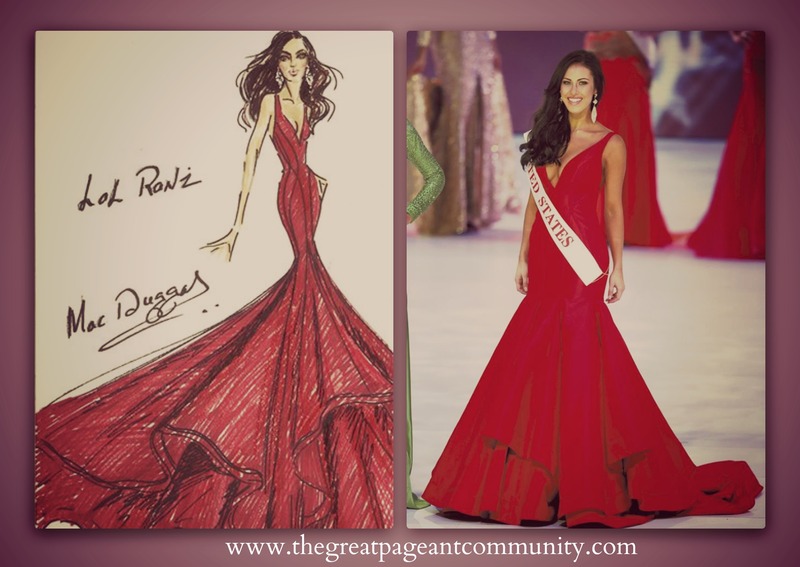 This amazing red sheer bodice high slit gown will make a dramatic impact on the judges. #1 Wear this Black laced boat neckline, peach colour high slit gown with a beautiful bow on the waistline for a red carpet event. #2 Live your fairy tale moment on the Miss Universe Stage wearing this beautiful cream coloured strapless sweet heart sequinned A Line Ball gown for the finale. #3 For the Photo Shoot or a high profile party where this strapless Navy Blue peplum gown with gold sequin on Peplum & the bodice which makes it look classy. #1 Be the Irene Esser by wearing this Charcoal coloured full sleeved off the shoulder gown with sequins placed horizontally all over the bodice. #2 Unleash the Diva in you by wearing this black beaded gown with a sheer bateau neckline, It will surely make you top the Evening Gown round at Miss Universe. #3 Yellow is the colour of Joy & what’s a better way to bring joy to the whole universe by wearing this yellow Chiffon gown with intricate sheer & lace detailing on the bodice this outfit will surely be a hit a National Gift auction or a event organized to raise funds. Which Mac gown did you like the most? Do let us know.